Paige Jarman has the world in her hands, literally. This Taranaki native has lived in Wellington since she left school. In 2015 she started her own pottery company, ‘Paige Jarman Ceramics’. 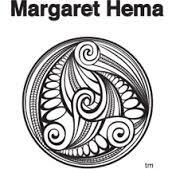 Her designs have not only been picked up by major ceramic stores throughout New Zealand, such as Small Acorns, The Poi Room, and the Auckland Art Gallery gift shop, but are popular with a younger set of collectors who want their pottery to be practical as well as attractive. Paige is passionate about pottery and also people using her pieces in everyday life. “It should be part of your everyday wear, not just sitting on a shelf,” she tells me as we sit on her bed in her Hataitai flat. WHO IS PAIGE JARMAN CERAMICS? Paige is the brain and hands behind the Wellington pottery company ‘Paige Jarman Ceramics’. She hand makes beautiful bowls and crockery, much of it in her signature blue - although she’s currently working on a new range which she tells me will be branching out, away from the blue. All Paige’s pieces are functional and made to be used. WHY SHOULD I CARE ABOUT HER AND HER POTTERY? HOW WOULD I KNOW HER OUTSIDE HER POTTERY? You may have seen Paige in the Christmas Campaign with Libertine Teas and Tailor Skincare. She also can frequently be found at the Wellington Potter’s Club where she is based on the days where this young #girlboss entrepreneur works on her business. Her botanical illustrations are also used on the Tailor Skincare masque packaging. Paige considers herself an ‘active relaxer’ and likes keeping her hands busy. While most of the time this is with clay, she also enjoys cooking, painting, and browsing Instagram for inspiration. After going to Inglewood High School in Taranaki, Paige moved to Wellington in 2010 to study at University at 17 - being the eldest sibling and cousin, she was one of the first to do so. At school, she studied arts subjects so thought she was going to study geography or graphic design. Paige got into Massey University to study design, living in ‘The Cube’ apartments before changing from graphic design to textiles in the second year. “Graphic design was too computery” she laughs. Moving away from home was a pretty big deal - “When I came to move into the apartment I was so so nervous” Paige says. After Uni finished, Paige admits she was burnt out. “I didn’t do or want to do anything creative for three months. Fourth-year design was pretty full on. And then I took a pottery course” Paige explains. “I’d never had any experience with clay since school playing around with clay, where I had made a sausage dog” Paige laughs. “It was a six-week class and then I kept going back along. I got a membership at the Wellington Potters Club. I didn’t have a car so I would catch the bus, carrying my clay and walking up the hill to get there. After a time, Paige approached the potter Kathryn Smythe and asked to help her in her studio over the Christmas period. Paige assisted with the menial tasks but learnt more about working in a studio than she had from her classes. “I learnt there was more than one way to do things when it came to pottery”. Kathryn works with earthenware clay which Paige found easier to throw than other clay she’d tried. After creating a few bowls she was proud of, Paige sent some photos to an online shop called Common Times based in Napier (formerly called Mekka) having seen their shop on New Zealand blog ‘Studio Home’. The shop took Paige on and asked for her to make a set of bowls. After Julia from Studio Home saw Paige’s work on the website, she asked to do a feature on Paige. “It went from there. It forced me to get better at throwing. I eventually cut down the days I was working my day job after more orders kept coming in.” From August 2015, she’s had a stream of orders. You won’t find Paige at the centre of the party. “I’ve always been pretty quiet” she admits. She also thinks she could be more organised about her business. Paige used to have a pottery studio in her shed, which encouraged her to work too much. Now she is working at the pottery club which makes it more like a solid 8-hour job on the days when she is solely potting. “Finding balance is a work in progress,” Paige says.